Parties, Weddings, Fund Raisers, Galas and even intimate dinners all require proper place cards for your formal and informal guests. You wouldn’t want your guests burdened with the task of finding a seat at a party, instead, they should have time to mingle with friends and acquaintances. Hence, the place card is a key component to planning a lavish or an intimate affair. 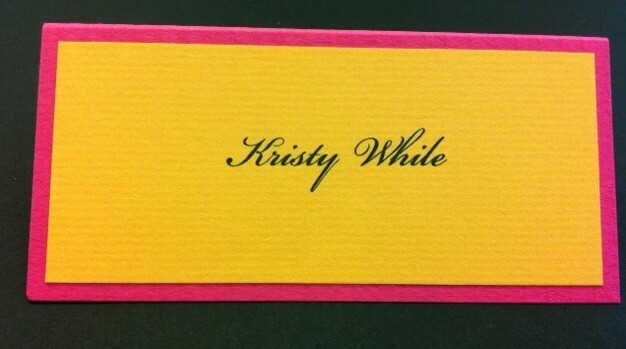 The place card has a functional role as well as a decorative one in a party/event setting. 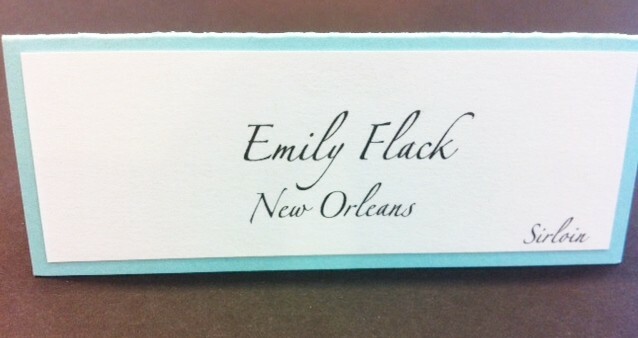 Here are some custom place cards we have worked on at Hyegraph. 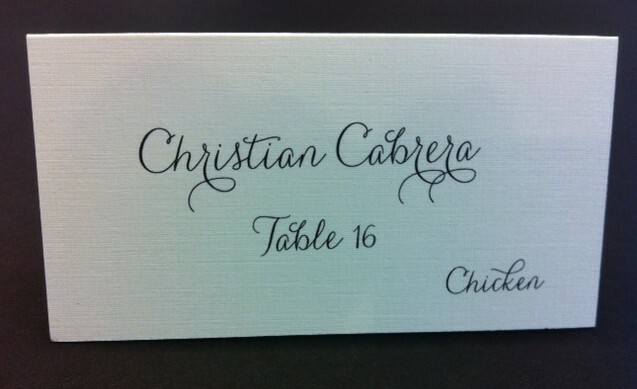 All of these custom place cards and the table card were printed by Jacques using the Hyegraph Digital Calligraphy. They were all created with a specific color and font style to reflect the particular event. 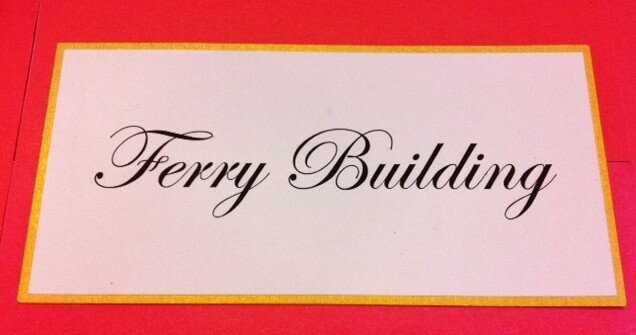 The above Place Card reads “Ferry Building” made in two layers, white and yellow with Curved Script Font Style printed with Digital Calligraphy in black ink by Hyegraph. 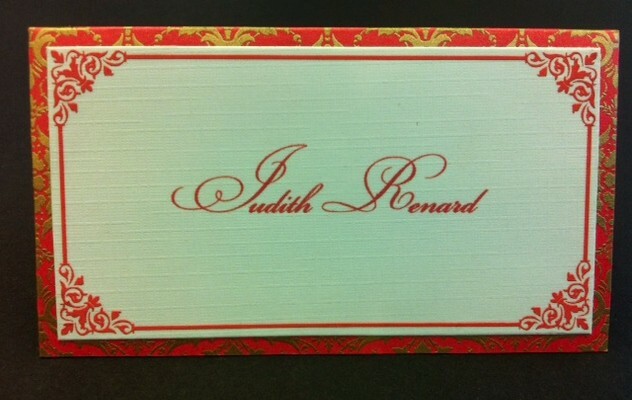 The above place card is from Charu Papers, the calligraphy is by Hyegraph in Markham Font Style in custom red ink color. PE Waterford font style digital calligraphy is used to print the above two colored place card with black ink. 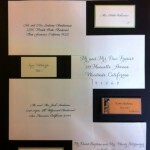 The above place card is from Envelopments custom made and printed in black ink using Hand Calligraphy pro style. See more styles of Hand Calligraphy Pro Style on our blog. The above place card is in two layers custom made with open stock stationery by Hyegraph. The colors are orange and fuchsia printed with black ink in Bickham font style by Jacques with Digital Calligraphy. For more examples of our Bickham font style calligraphy see our blog. The above place card assortment and table card are light and airy, perfect for spring and summer events. These vibrant fuchsia and pink combinations and blues with white, gold and orange colors are decorative, engaging and most important add a flare to any event. 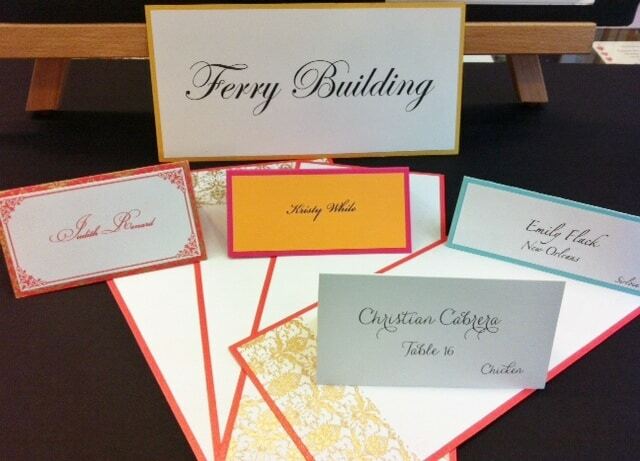 Have a fun affair and add elegant charm with gold, white and tasteful place cards and table cards. Call us in San Francisco at 415-626-0461, or toll Free if you’re out of the San Francisco area at 866-626-0461. For information on place calligraphy orders please see our calligraphy page. 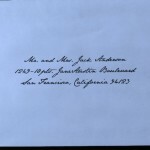 To see most of our font styles please go to our Envelope Addressing Page.